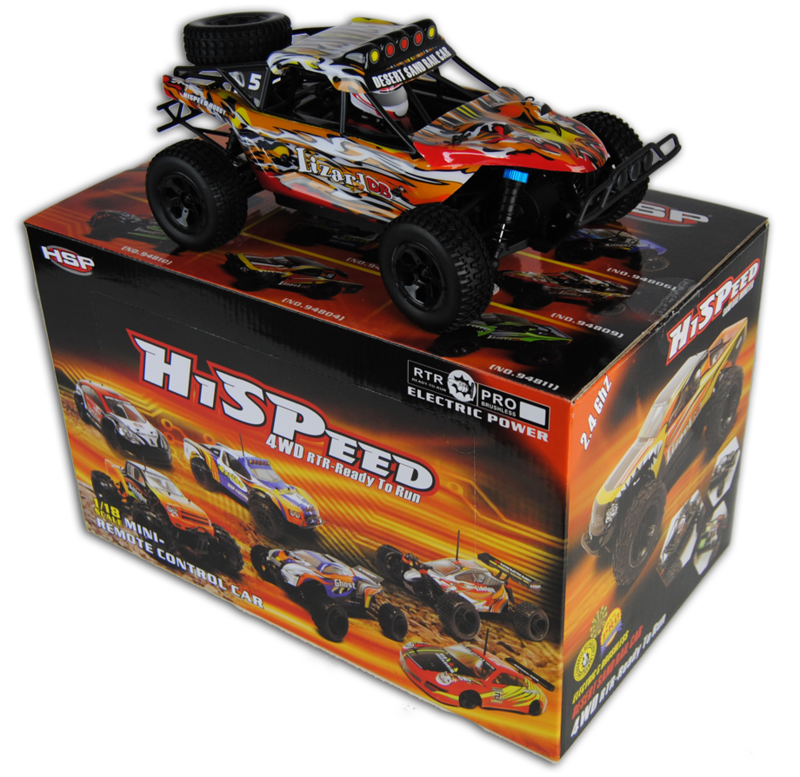 This is one cool little RC car that is brand new from HSP. 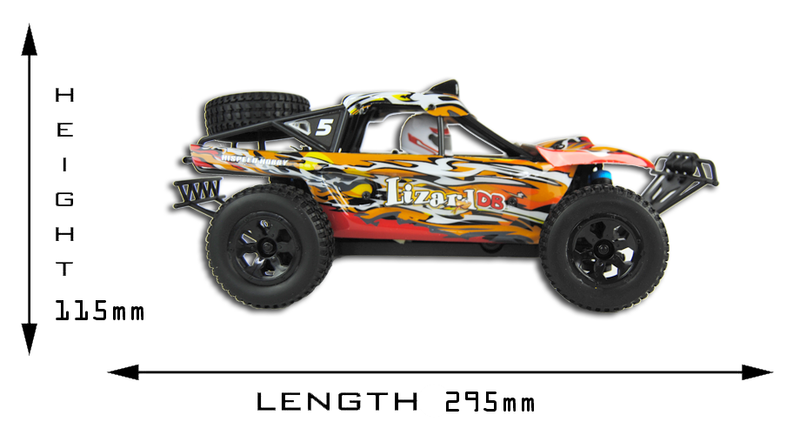 It features a quirky sand racer shell covering a race style roll cage complete with mini replica driver. 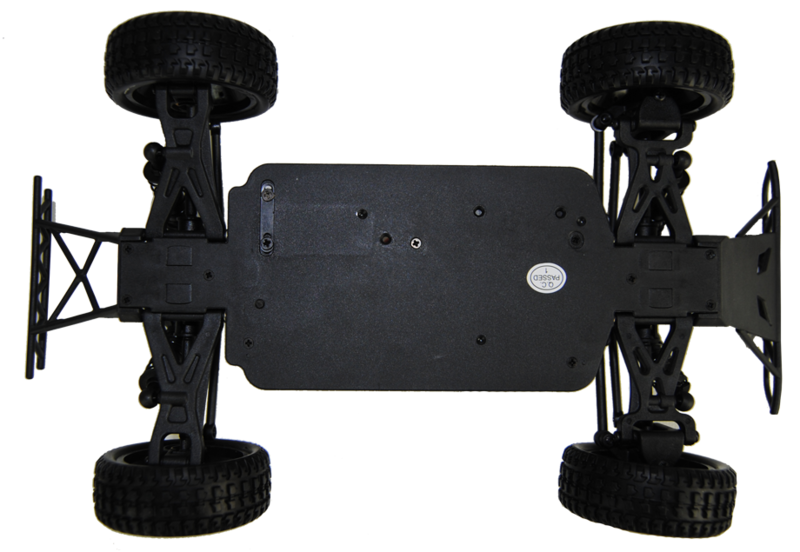 Measuring just under 30cm but feature packed with working diffs, oil filled shocks, 4 wheel drive, splash proof electronics and 370 race motor with HSP fully proportional speed controller. 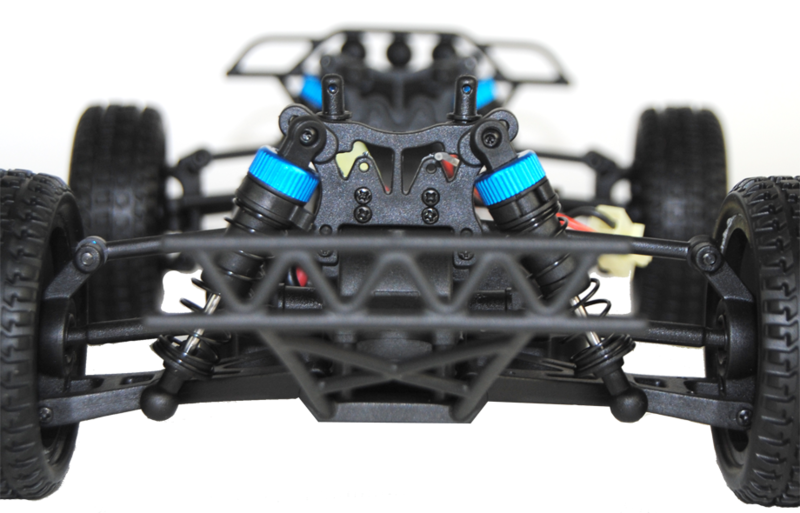 The unique design of this model make it suitable for both on road and off road racing with a high ground clearance for clearing uneven terrain but smaller wheels for good on road performance. The smaller size makes it more practical for transport and use in smaller areas or indoors. 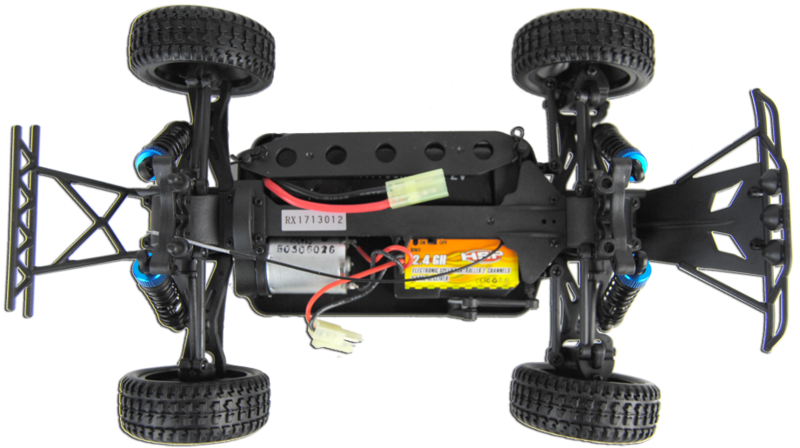 The tyres have been upgraded with a harder rubber with special tread design making it fast on many different surfaces in wet or dry conditions The model comes ready to run with 2.4GHz radio equipment included. This 2.4GHz system means that many models can be used at the same time without interference. This model measures at 295mm x 168mm x 115mm and features a cool replica driver and spare tyre. The four wheel drive system improves off road ability as well as on road grip. The front and rear differentials further improve cornering. Both the tension and the angle of the shocks is adjustable to suit your driving style and terrain. How long is the warranty on this remote control car? Hello - thank you for your question. The warranty on this RC car is 6 months. If I buy two will they interfere with each other when transmitting? No. Our models use a new 2.4gHz transmitter and receiver system, which will not interfere with other signals, once bound. Is it possible to replace the base plate of the car? The front section has cracked after impact. It still drives but i suspect more damage will be done if it suffers further impact. 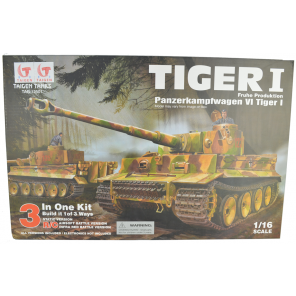 Great 1/18th car, fast, agile and great value for money. Battery last 15 - 25 mins going full out. Easy to use, nice and quick. Would suggest purchasing an extra battery as the charge last about 15 - 25 mins at full use.